EXCERPTS FROM THE MINUTES OF THE 20TH REGULAR SESSION OF THE SANGGUNIANG BAYAN OF BALUNGAO, PANGASINAN, HELD AT THE SESSION HALL ON THE 17TH DAY OF JANUARY, 2011. This Municipal Ordinance shall also be known as the 2011 Public Cemetery Ordinance of the Municipality of Balungao, Pangasinan. The Municipal Government of Balungao, Pangasinan, through the Office of the Municipal Engineer and Municipal Planning and Development Coordinator, shall subdivide the newly acquired One (1) Hectare lot, including the road opening to and from the new public cemetery. The Municipal Government of Balungao, Pangasinan shall construct and maintain a mortuary for public use. The Municipal Treasurer or her authorized representative/s shall keep all records with reference to the application, acquisition and use of cemetery lot/s. a) Apartment Type– located at the borders, serving as perimeter fence of the new cemetery and shall consist of five levels/decks. b) Individual Lot– Per lot, the measurement shall not exceed but not less than 2.25 m. x 1.25 m.
c) Family Estate – Per lot, the measurement shall not exceed, but not less than 5.0 x 3.0 m. for four (4) pantheons. Space/property lines between lots with a measurement of not less than, but not more than .4 m. shall exist at all times to avoid encroachment. Apartment Type- A Lot Lease Fee in the amount of Php 6,000.00 per unit shall be paid at the Office of the Municipal Treasurer, excluding burial fees as provided for under existing Revenue Code of Balungao, Pangasinan, and Five (5) Years thereafter, the lot lease contract shall be renewed with a fee of Php 1,500.00 as provided for in this Section of the same Ordinance or any Ordinance that may hereinafter promulgated by the Sanggunian. Individual Lot- A Lot Lease Fee in the amount of Php 6,000.00 per unit shall be paid at the Office of the Municipal Treasurer, excluding burial fees as provided for under existing Revenue Code of Balungao, Pangasinan, and Five Years (5) thereafter, the lot lease contract shall be renewed with a fee of Php 2,000.00 as provided for in this Section of the same Ordinance or any Ordinance that may hereinafter promulgated by the Sanngunian. All transactions made outside the Office of the Municipal Treasurer and or transactions with unauthorized person/s are hereby declared unlawful. Contract of Lot Lease forms shall be provided for by the Office of the Municipal Treasurer. One (1) Family Estate of Four (4) pantheons, following the same designs and specifications as provided for under Section 8 (a) of this Ordinance. Construction of mausoleum/catacomb may be allowed and shall comply the uniform designs and specifications provided for by the Municipal Engineer. Construction of structures not stipulated herein such as shed, use and utilization of one lot for more than one cadaver, and other activities found disadvantageous on the part of the LGU. As well with other lot owners are hereby declared illegal. 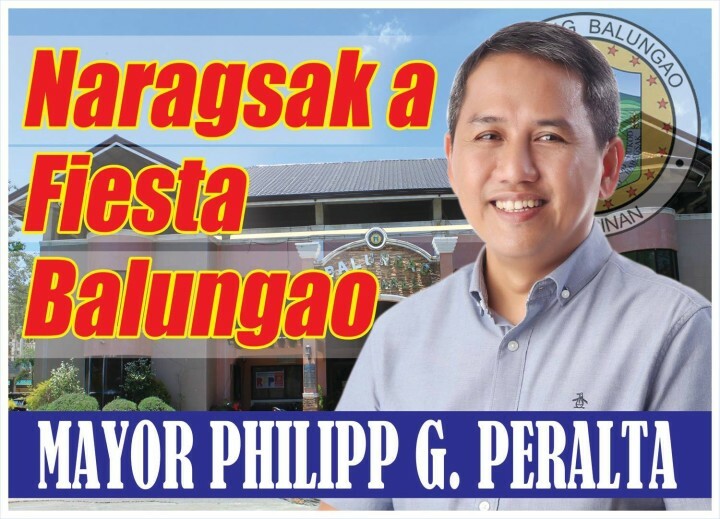 The Municipal Government of Balungao, Pangasinan shall accredit qualified masons and carpenters who are bona fide residents of the municipality. Only the accredited individuals are allowed to construct pantheons and other structures stipulated herein, strictly complying all the specification and designs as provided for under this Ordinance. Failure on the part of the accredited carpenters and masons to comply with the specification and designs, their accreditation may be suspended or revoked. Applicants for accreditation shall first undergo seminars at the Office of the Municipal Engineer. Except the apartment type, all expenses for the construction of tomb/pantheon and other structures stipulated in this Ordinance, including charges for the masons/carpenters shall be shouldered by the lot owner. 1). Monitor the construction of tomb/pantheon, making sure to report immediately to the Municipal Engineer any deviations on the specifications and designs as provided for under this Ordinance. 2). At all times, he/she shall maintain cleanliness and orderliness inside the public cemetery. 3). All applications and inquiries shall be immediately referred to the Office of the Municipal Treasurer. 4). Perform such other duties and functions as may be prescribed by existing ordinances and ordinances that may hereinafter promulgated by the Sangguniang Bayan. 5. Performance evaluation of the caretaker. 6. Other issues and concerns. Third Offense………Php 2,500.00 or imprisonment of six (6) months or both at the discretion of the court. If for any reason or reasons, any part or provision of this Ordinance is declared invalid, null and void, the other parts or provisions hereof which are not affected thereby shall continue to be in full force and effect. This Ordinance shall take effect upon its approval and after due posting and publication. APPROVED UNANIMOUSLY, this 17th day of January 2011. DIONISIO A.VALERIO ELADIO V. VILLANUEVA, SR.